Drop-shipping is a form of business that allows you to list products that you don’t have but know where to find, you are kind of like the middleman who knows how to source for products and knows how to deliver it to the person who needs it, while you make a nice profit after your cost of sales. Drop-shipping does not appear here because it’s a service, not a role, a drop-shipper can also be the manufacturer of a product, meaning that when you manufacture your own products and sell to the final consumer you are also drop shipping for your own products. A drop shipping merchant is that person that acts as a go-between, between the Manufacturer or Wholesaler and the final consumer. A drop-shipping merchant, in this case, is responsible for finding the products, listing it on his site and selling to the final consumer. The manufacturer or wholesaler then ships it to the person who bought it. -Mr. Bon wants to purchase a new battery for his phone, he goes to Mr. Dav’s Ecommerce shop and places an order and makes a payment. -Mr. Dav receives the order and payment and then, in turn, places an order with his suppliers which could either be the manufacturer or a wholesaler. 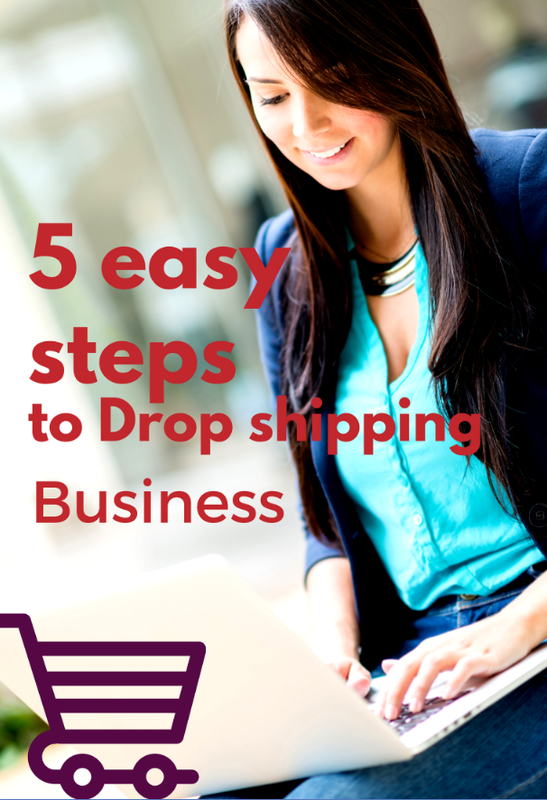 -The Drop-shipping merchant then informs the buyer that his order is on the way. -When the buyer receives the goods, it’s only the logo of the drop shipping merchant he is aware of, the manufacturers or wholesaler, in this case, is invisible to him. -No inventory: You don’t need a large quantity of cash layout to start off since you don’t have to purchase inventory, you only place an order after you have been paid. -Easy to scale: Because you are not limited by cash and expenses, you can easily scale up your business as you make profits and gain tracking on how the business works. But to be able to attain all these fit, here are behind the scene work that has to be done before a Drop shipping business can take shape. 1) Decide on the Product you need to sell: this should be a product that will sell fast as you want to make a good turnover since the margins for selling as a merchant are usually thin. -Research: You will need to do a good amount of research before you determine what products to sell, Amazon is a good place to start, one of the ways you will get to know a product that sells fast is by the number of reviews it gets. Think about it, not many people give reviews for the product they buy, so when you have a good number of reviews, it means that more people have probably bought that product. The second place to use is Google, you can use the google keyword research to know the searches people are doing that way, you can know what an issue is currently and then look for a product that solves that problem. Suppliers are critical to the success of your drop shipping business, as they are the ones who hold the master key to your success, they help fulfill your orders so credibility is key. They can either be wholesalers or the manufacturers themselves, of course when you are sourcing directly from manufacturers you have a wider margin to play with, but often times that is not feasible because manufacturers require a minimum number of orders which may be way above your comfort zone, so we will stick with wholesalers. -Sell to the public: Any wholesaler who sells to the public is likely to be fake. Most wholesalers will demand you set up an account with them before you place an order. -They require per order fees: This is the amount they charge you for packaging and shipping of your orders, where the order is small it may cost more. Typical chargers range from 2 to 5 dollars. -Minimum size Orders: Suppliers often have a minimum size of orders you must make in other to be considered as their customer. This enables them to sift out serious business people from those who are just window shopping. -Expert staff and industry knowledge: Good drop shippers have expert staff who understand their product lines and can have good knowledge of the industry they are playing in. So when you talk to their sales reps, you should get a good sense of what you desire in choosing a product. -Dedicated sales Rep; Quality drop shippers have sales representatives who are dedicated to their customers and always there to resolve issues that may arise from the business. -Can take orders via email: Good drop shippers should be able to take an order via emails, without you having to go to their websites to place an order. -Centrally Located: Good drop-shippers should be centrally located so that your shipping days will be lower, for instance when they are centrally located, it is easy to commit to 2 days delivery for your customers. -Organized and Efficient: A good drop shipper should have systems in place which makes it easy to fulfil orders and track what has been shipped. This will reduce the number of botched orders and misplaced orders too, hence helping your business to grow. It can’t be good business if you always have to apologize to a customer, it doesn’t help repeat business. Contact the manufacturer: When you have decided on the product you are looking to sell, the easiest way to get a supplier is to contact the manufacturer and ask for a list of the wholesaler’s directories so you can contact them for business. -Most wholesalers don’t have time to set up a good website and advertise, they are too busy doing wholesaling things LOL. Now seriously, you can’t judge the wholesaler by their websites they don’t usually have time to modify and build a beautiful website, that’s your work as the merchant right. – Be willing to diligently search the wholesalers out, most times you won’t see them on your first google page, they will usually be way behind. You have to use modifiers such as reseller, bulk distributor etc in other to find them, so be willing to modify your search when using google. -Buy from a Competitor: This is another way of getting a supplier, you can buy the same product you want to sell from a competitor and do a backtracking research to get the supplier. Google the return address to see if you can get a contact for who the original supplier was. -Use Directories: Sales directories are companies who aggregate a good number of suppliers in one online platform and supply to those looking to sell products like you for a fee. While supplier directories are helpful for a beginner who wants to brainstorm ideas on what to sell and how to get suppliers for it, they may not be necessary if you already have an idea of what niche you want to play in and how to go about it using the techniques mentioned above. Having mentioned it, should you want to use supplier directories, here are some good ones. These are to mention but a few. 3) Listing your products for sale. -You can sell on your own e-commerce store. Where you chose to go with the second option you will need the services of an e-commerce shop platform like Shopify. They provide a platform that makes it easy for you to set up your e-commerce store. Shopify is a complete e-commerce solution that allows you to set up an online store to sell your goods. It lets you organize your products customize your storefront accept credit card payments, track and respond to orders all with a few clicks of the mouse. The Shopify e-commerce platform has been rated amongst the best in functionalities, it makes setting up an e-commerce shop easier. They have a variety of plans, they even have options for people who don’t have a website but use their Facebook account to sell. They have the Pay lite option for them. You can click here to get to the Shopify platform. In fact, advertising and marketing is your main job as a merchant who is using a drop shipping business model. The 5th and final thing you must do before you start is to fix the legal things. Register a business name, be it Sole proprietorship, LLC or a C corporation you have to figure out what will suit you best. You are also expected to get a Tax ID often called an EIN. I will expect that you contact experts when it comes to incorporation and Tax matters, they are very important. With these few steps, you are good to go. Try Shopify for free and sign up on the Shopify platform. Disclosure: This post contains affiliate links, you are not in any way mandated to click on them. I promote them because I trust their products. You must do your own due diligence before you buy from them. Did you find this post interesting, share with your friends and also comment on it below? Join our newsletter and get adequate training on how to set up your online store. You will get a completely loaded set up shop on the wix platform with keyword researched descriptions read to go.